UbiCast is the easy-to-use automated solution that lets organisations create and share rich media video for learning, training and webcasting. User-generated video content has become the most popular and effective way to share information. 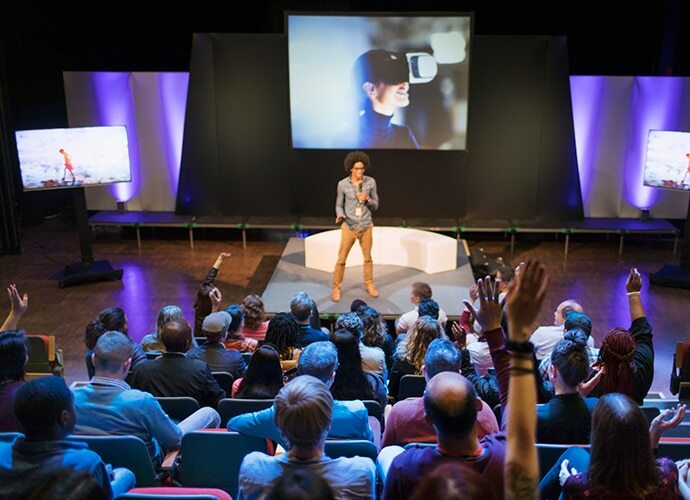 UbiCast lets universities, colleges and corporate organisations create and share rich media video – live streamed or on demand to suit the needs of any audience. Easy to use, scalable and cost-effective, UbiCast orchestrates every phase of producing and delivering pro-quality video content, from recording and editing to publishing, managing and user analytics. 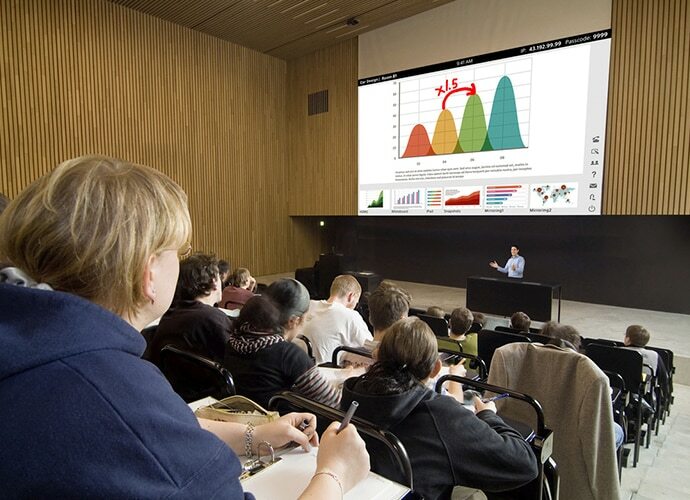 Miris Netcapture from UbiCast integrates with Sony’s Vision Exchange to create a flexible, scalable and cost-effective networked lecture capture solution. 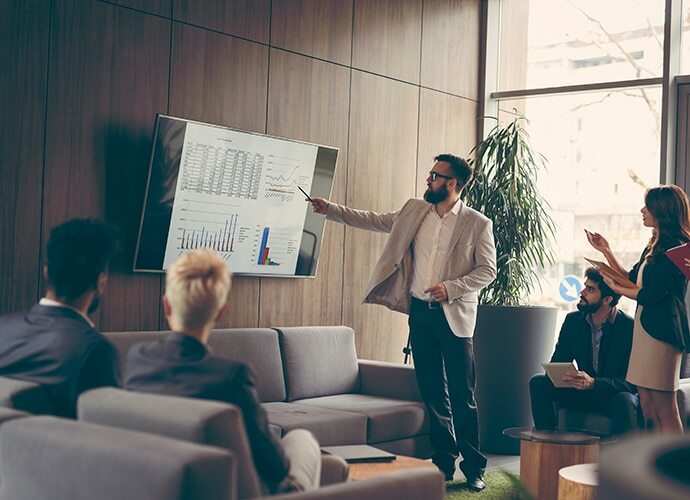 Interactive content such as mirrored imagery, annotations and digital whiteboard content streamed from Vision Exchange is recorded centrally and indexed by Miris Netcapture, before transfer to MediaServer for editing and distribution. 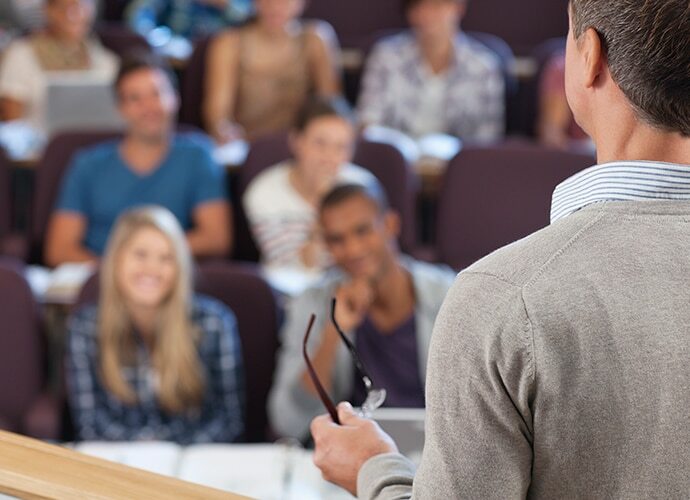 With no need for separate recording hardware in individual classrooms or lecture theatres, it’s a uniquely cost-effective solution that brings content capture into every teaching space. 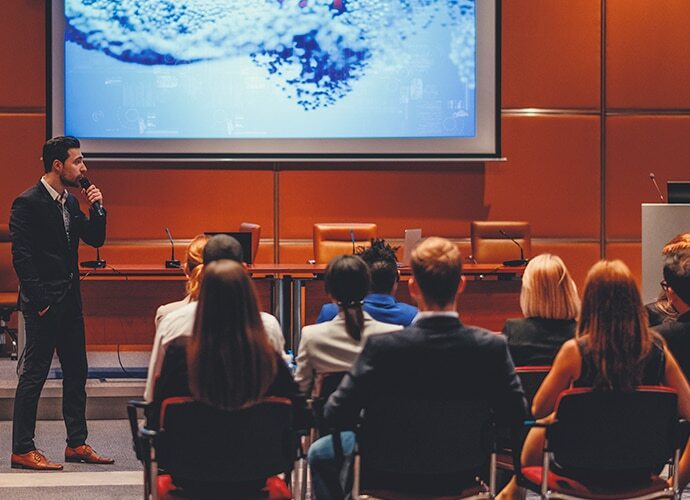 Enhancing the value of content compared with conventional single-camera capture, High Definition AV content can be recorded from six different sources simultaneously, including the presentation itself plus separate videos of the teacher and student’s questions and answers. Traditionally, creating online video content has demanded the use of specialist production and editing resources. 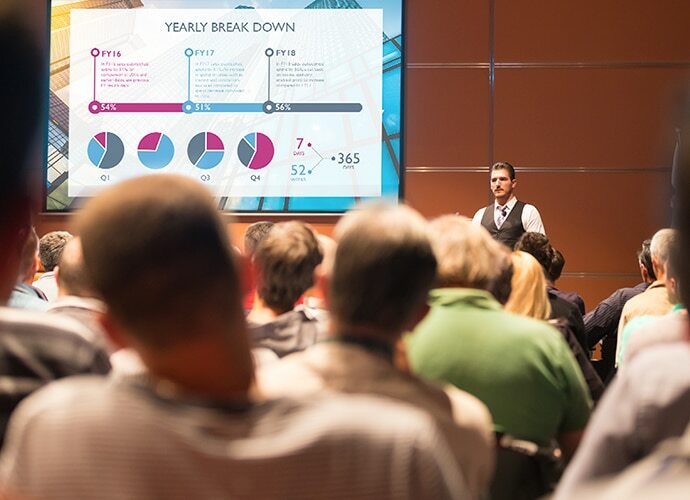 UbiCast reduces the cost and complexity of creating high quality video without compromising on quality, with features like auto-tracking to keep your presenter tightly framed in shot, plus dynamic production and automated branding. 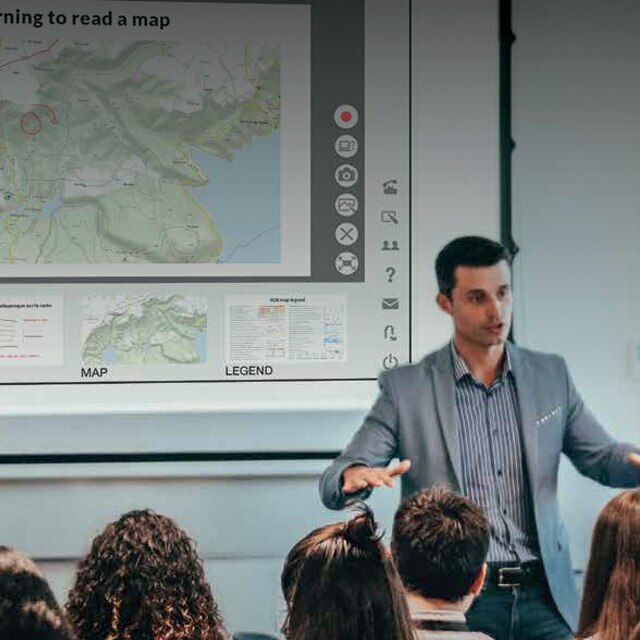 While Sony’s Vision Exchange allows students and teachers to wirelessly share and annotate content from their laptop, smartphone or tablet devices to the front of a classroom, Miris Netcapture records all interactivity in the classroom over the network. With UbiCast MediaServer it’s easy to make rich media video content more engaging by adding another interactive element for online learners like time-based comments, links and quizzes – there’s even a search engine that leverages advanced OCR (Optical Character Recognition) to find specific information. It’s ideal for teaching and training applications to ensure that students have absorbed and understood course materials. Distribute completed video content through any channel. Share via USB drive, live streaming or FTP file transfer. Content can also be uploaded directly to MediaServer – the smart, secure and scalable video streaming platform that can be deployed on site or in the cloud. Add extra intelligence to all your video content from automatic slide indexing, audio level normalisation and optical character recognition to statistics of published video content. Discover solutions and technologies to enable richer, more rewarding educational experiences that inspire every learner.